Electronic Drain is a collection of electric and electronic sources specifically designed for movies, audio logos and trailers. The library includes new and experimental sound material generated using the most cutting-edge digital signal processing techniques. Providing digital, organic, raw and designed sounds Electronic Drain delivers a rich sonic complexity and a wide range of possible variations. The sounds have been mapped out into 11 Kontakt 5 instruments and have been further processed and looped (where appropriate) to offer a larger number of possible combinations, presented with all the FX & filter sections to further treat & enhance the samples. 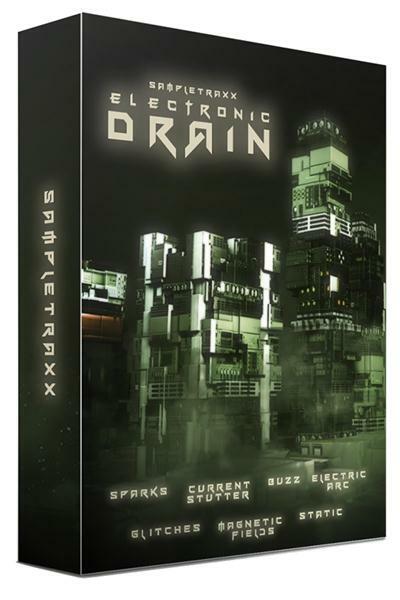 Electronic Drain comes with 1.1 Gb and 300 Wav files 96/24 + 11 Kontakt instruments.